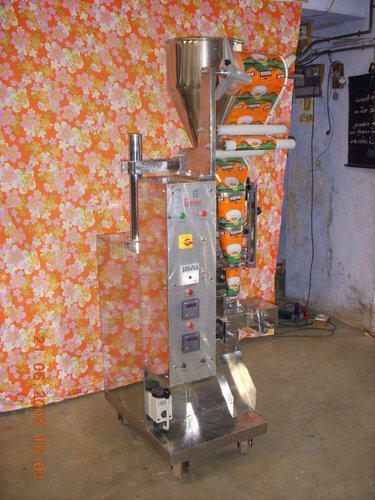 We, Shree Chamunda Micro Industries, had established in the year 1976 and have been Manufacturing, and Exporting of Filling and Packaging Machines at a fast pace since then. Our wide assortment of products includes Filling Machines, Form Fill & Sealing Machines, and Pouch Packing Machines. We offer a wide variety of sealer machines, screw conveyors, mixer machines along with coding machines and do not escape from implementing the latest trends as demanded by the market. Our products come with an extended life along with an unmatched quality that distinguishes us from our competitors in the market. The infrastructural base has been our key strength which has enabled us to deliver happiness to our customers. We deliver and dispatch our items in excellent packaging and accept multiple modes of payment which is completely as per the customer’s interest and choice. We are a company that always go by the industry protocols and the specified guidelines. We do believe in accepting the challenges but not at the cost of breaking the rules. We have grown from strength to strength since the day we started and there has been no looking back till date. We have a very decent annual turnover which is increasing at an extremely high pace. We successfully export to South Asian and Arabic countries.